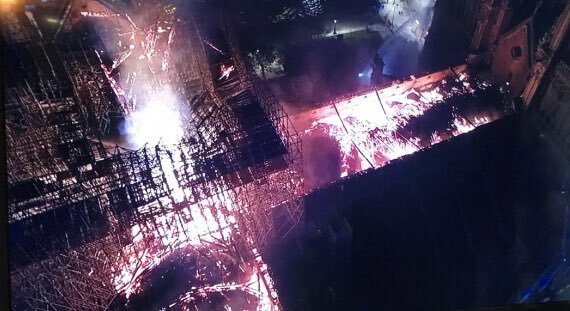 A massive blaze at Notre Dame Cathedral in Paris devastated large parts of the 850-year-old structure on 15 April 2019. 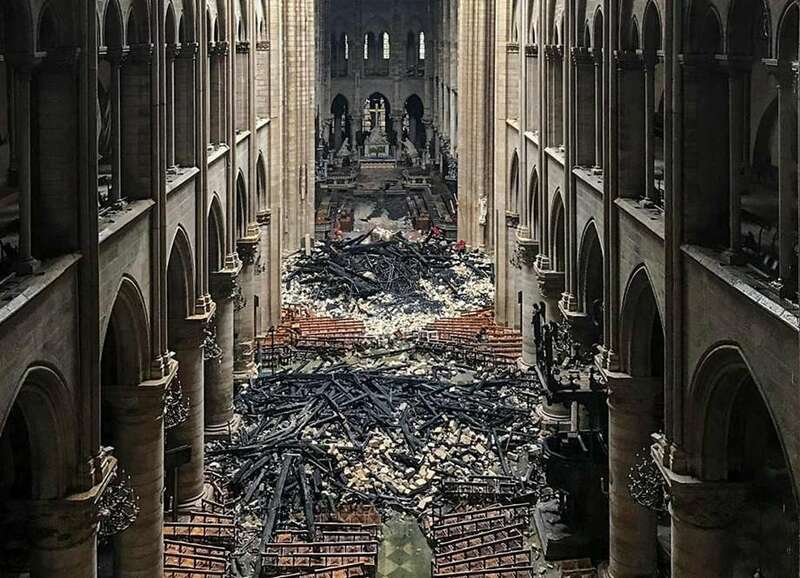 The fire was extinguished the following day, 15 hours later but fire crews remained to identify and extinguish residual fires. 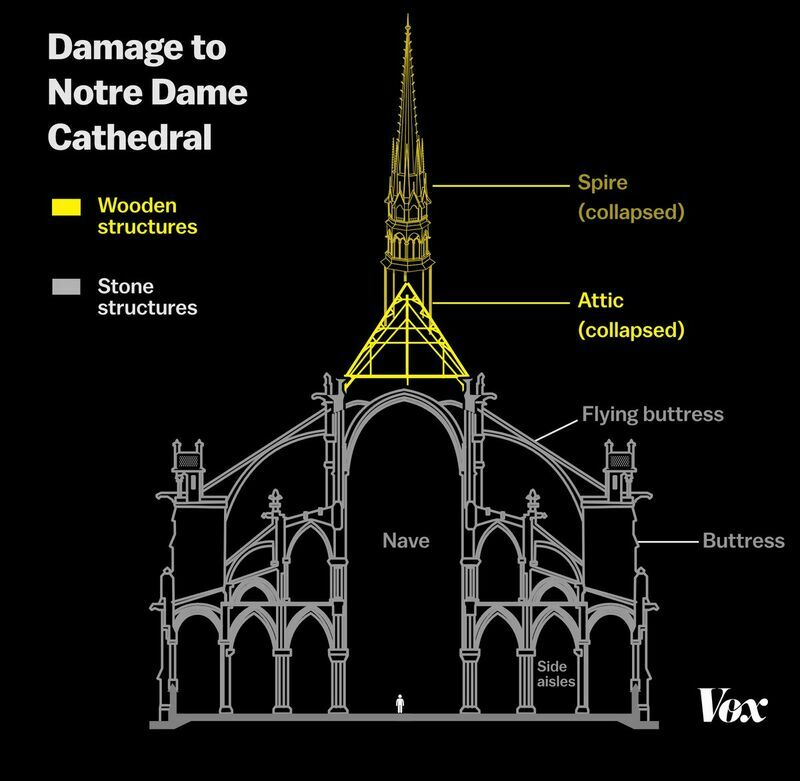 The cathedral's wood-and-lead spire and roof collapsed and considerable damage was caused to the interior, upper walls and windows, as well as to numerous works of art. 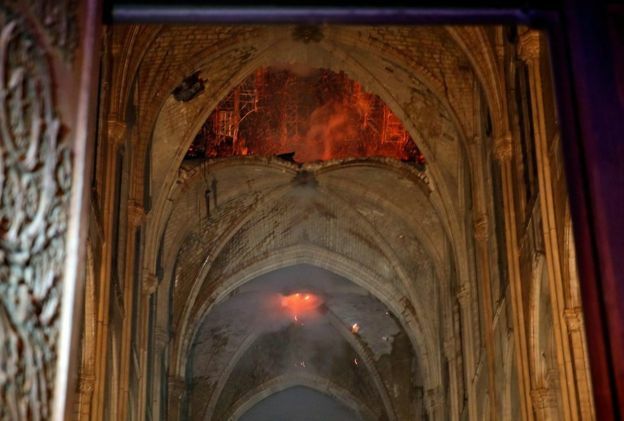 The stone vaulted ceiling beneath the roof prevented most of the fire from spreading to the interior of the cathedral, saving the building from worse damage. 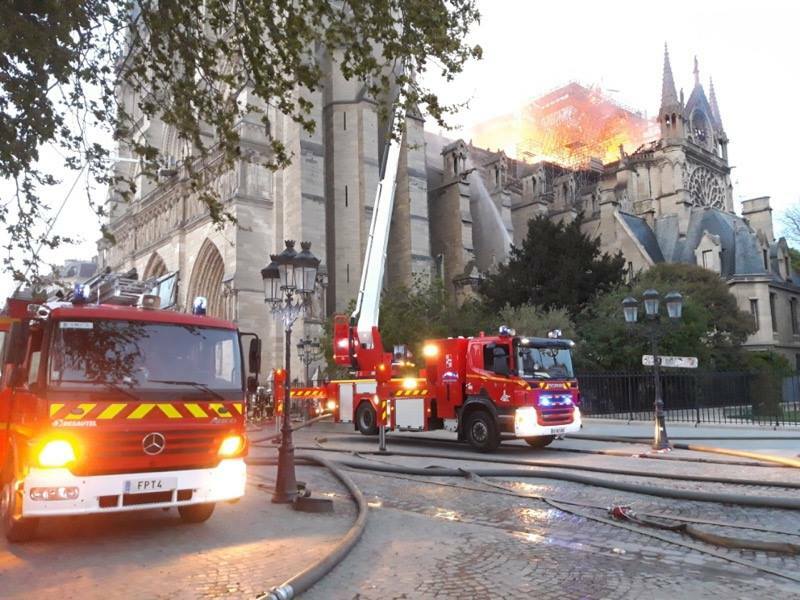 Originally the Paris prosecutor stated the fire started in the cathedral's attic around 18h50, when the cathedral was open to tourists. 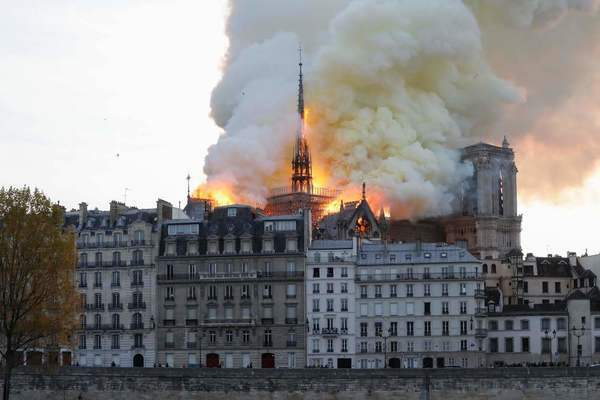 However, it was later discovered the fire likely started about 18h20 local time when security guards first heard the fire alarm and began evacuating the cathedral. 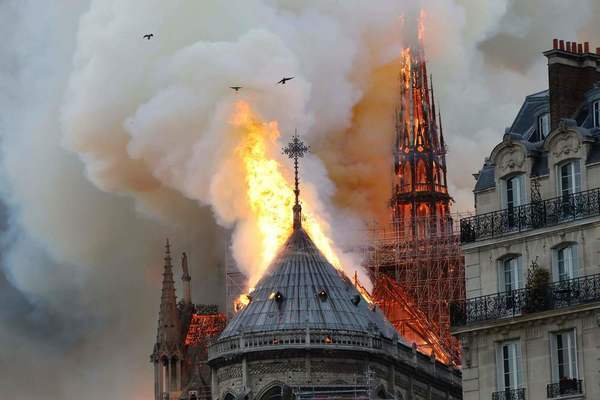 The security guards were unable to find where the fire was coming from until 18h43 when either the alarm rang again or a second alarm rang. 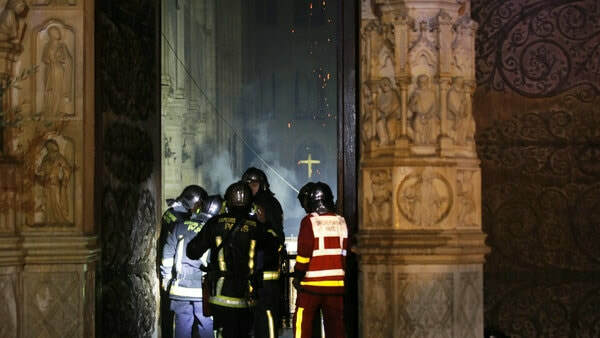 A Mass was scheduled around that time, between 18h15 and 19h00 and was in progress when the fire alarm rang. 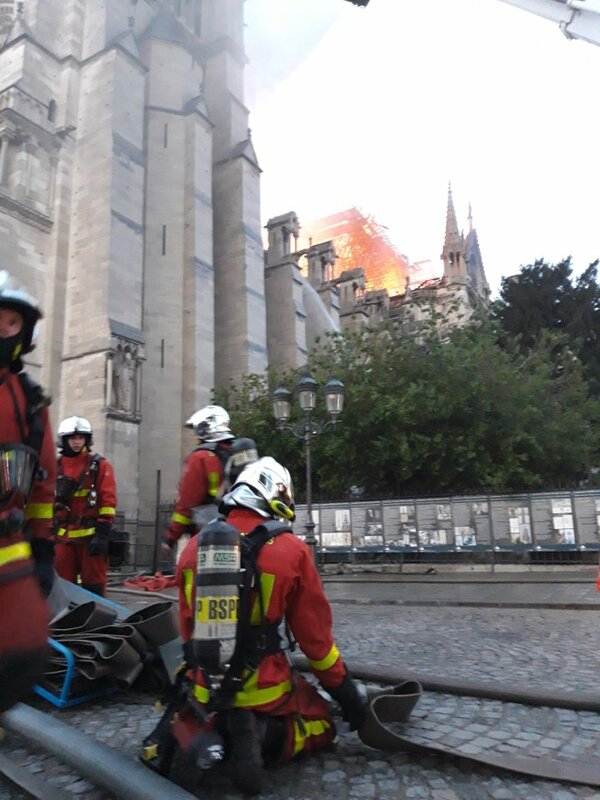 The cathedral was evacuated in an orderly manner within minutes. 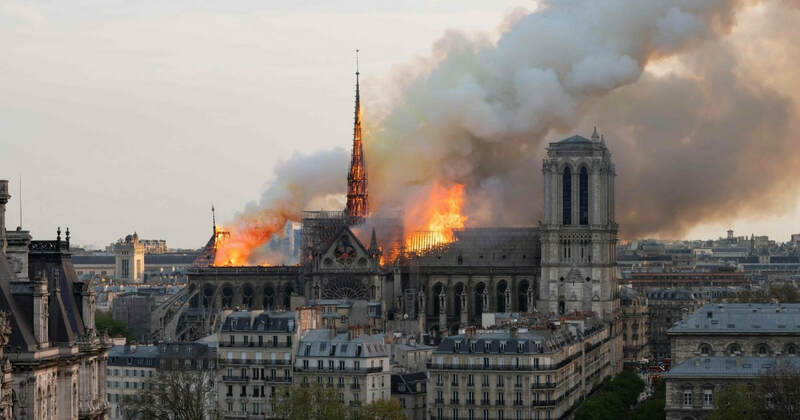 According to some of those at the scene, the doors of the cathedral were abruptly closed on them as they tried to enter and white smoke started spreading from the roof. 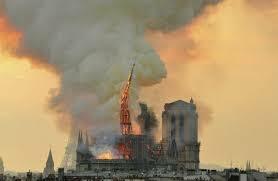 The smoke soon turned black as the fire spread; flames then appeared from the spire. 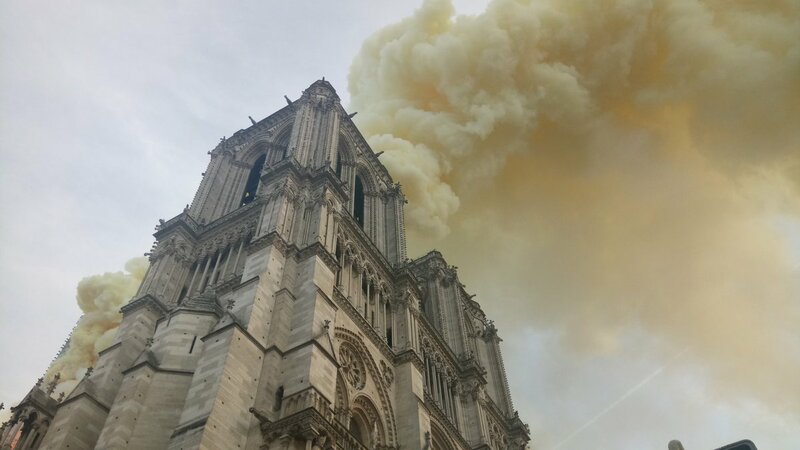 The smoke later turned yellow. 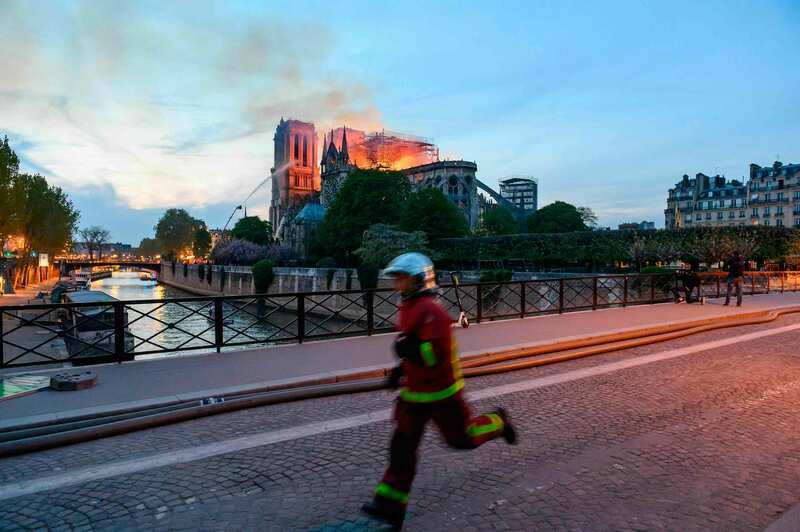 Police quickly evacuated the Île de la Cité and the island was closed. 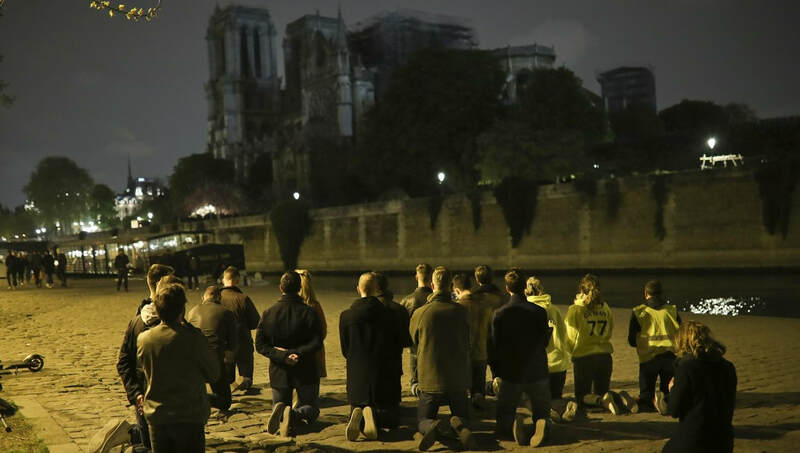 People gathered on the banks of the Seine and at nearby buildings to watch. 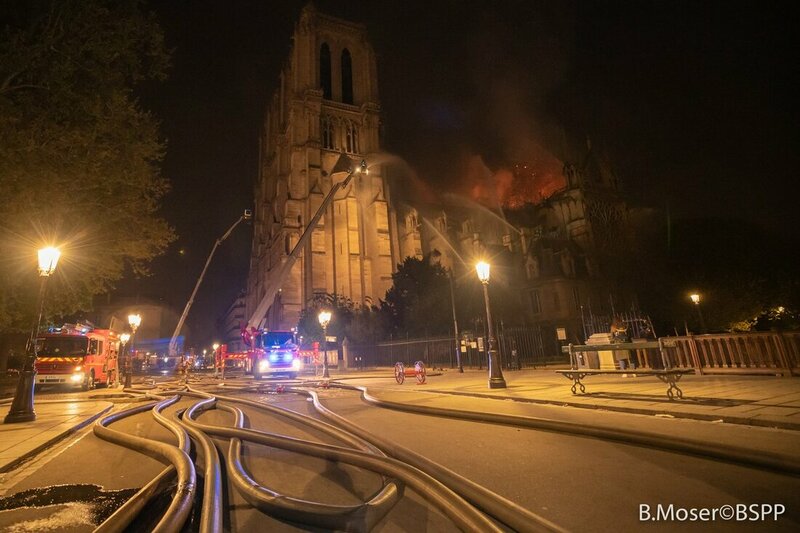 Most of the fire was extinguished by 23h30 the same night and the fire was considered completely extinguished by early morning on Tuesday, 16 April 2019, after about 12 hours of fire fighting. Fire crews remained to identify and extinguish residual fires. 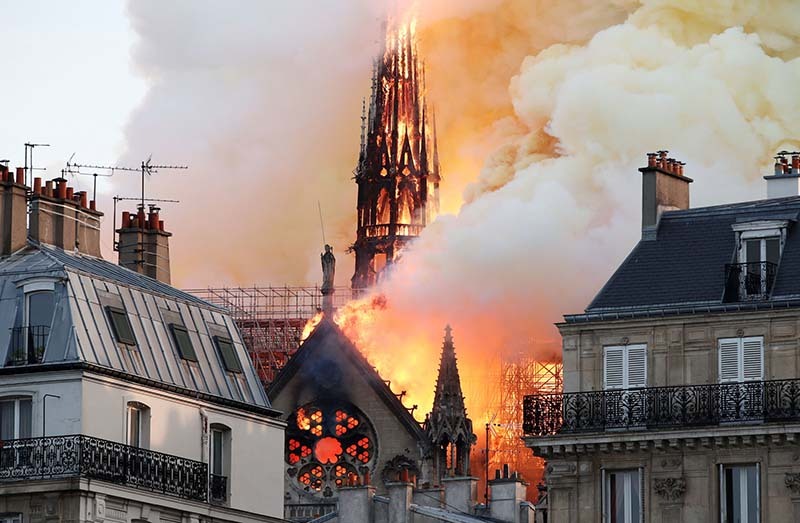 The Paris fire chief stated that if the fire had kept burning for another 30 minutes the bell towers and other structural elements would have likely fallen. Pompiers de Paris had drilled regularly in preparation for any fire at the cathedral, including two training exercises held on the site last year. 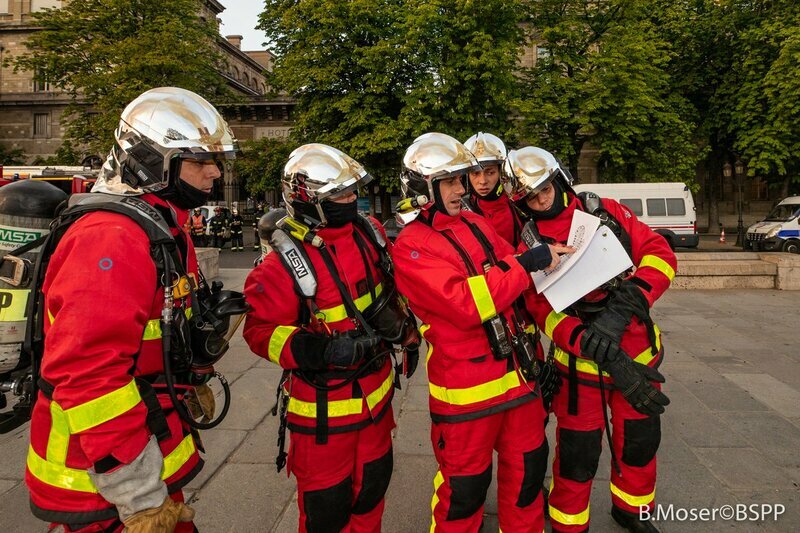 They also cooperated in the routine thrice-daily fire watch and the alarm system. They therefore knew the building and the difficulties of fighting a fire in it well. 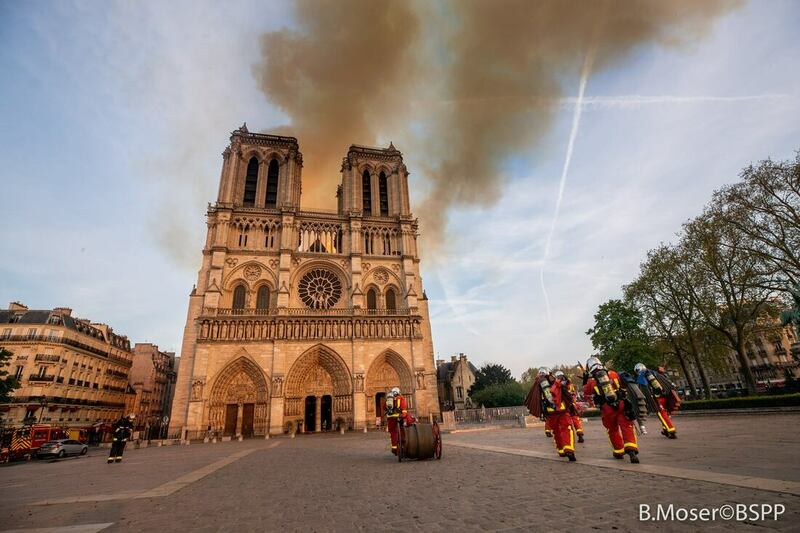 The fire was primarily fought from the inside, in line with common French fire fighting practice. 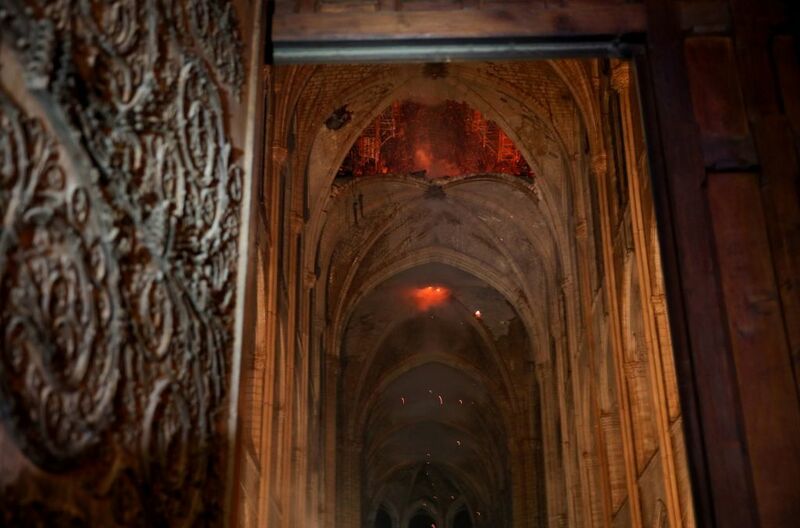 Attacking the fire from the outside risked damaging the interior by deflecting flames and hot gases (at temperatures up to 800°C) inwards. 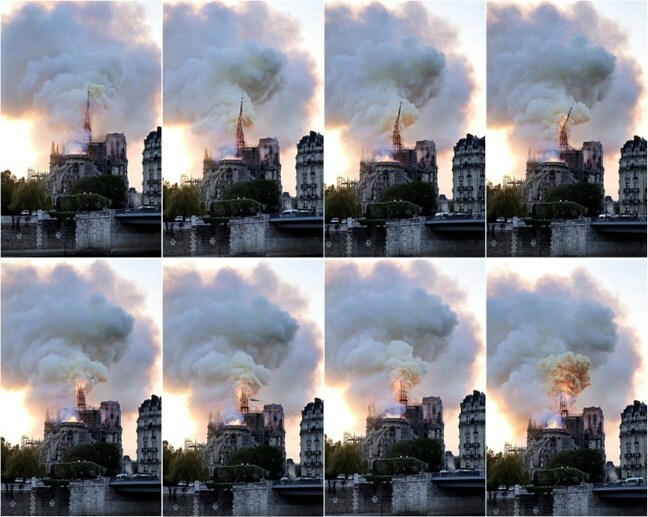 20 fire fighters climbed inside the two towers. Fire monitors from ground-based vehicles were carefully used to douse the fire while avoiding further damage to the building. 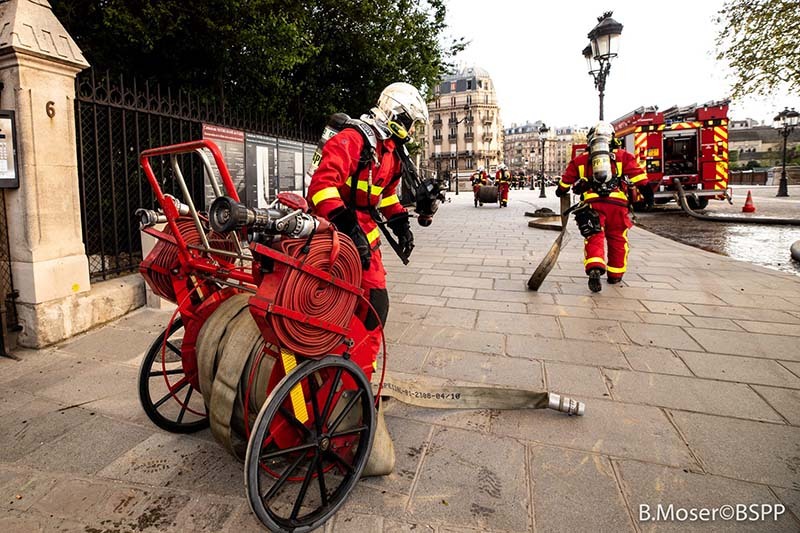 Following the plans the fire department made for such an emergency, boats were rapidly deployed on the Seine River to pump the water. 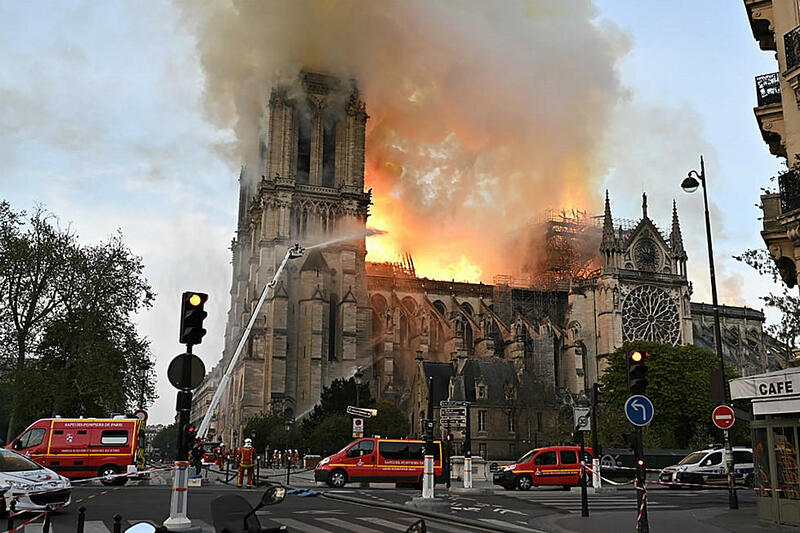 The possibility of aerial fire fighting was discounted, as the weight of the water and the intensity of the drop at low altitude could have weakened the cathedral's structure. 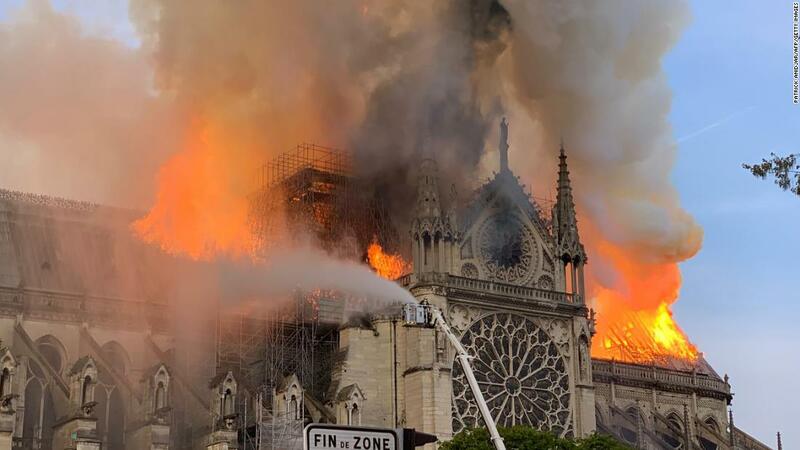 In addition, the limestone used in the construction of the cathedral could have cracked in the heat, especially if abruptly chilled by being doused with water. 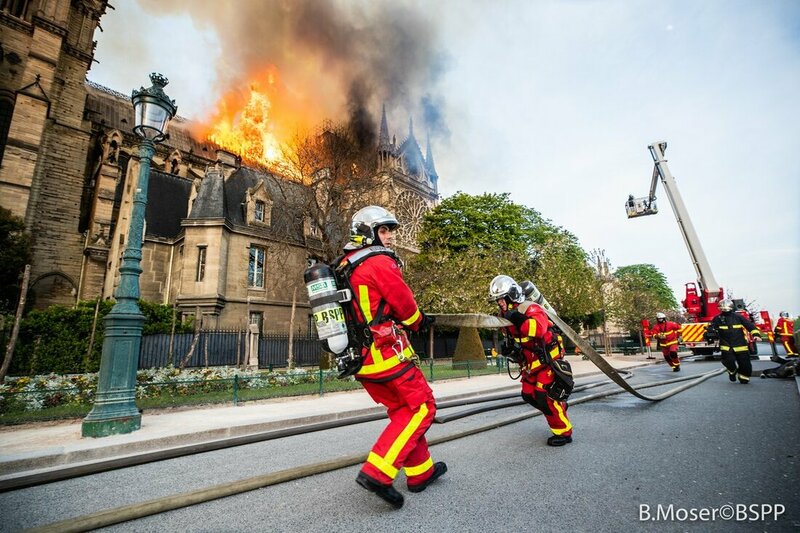 Fire fighting by helicopter was also discounted due to dangerous updrafts that came from the burning building. A spokesman for the Pompiers de Paris announced that more than 400 fire fighters were engaged; another 100 worked to evacuate artefacts. 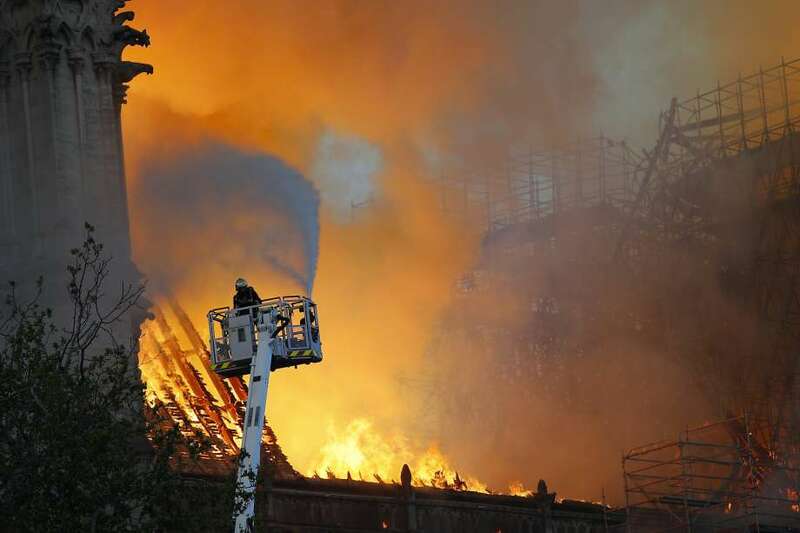 Along with the high temperatures of the fire, molten lead from the roof also posed a hazard. 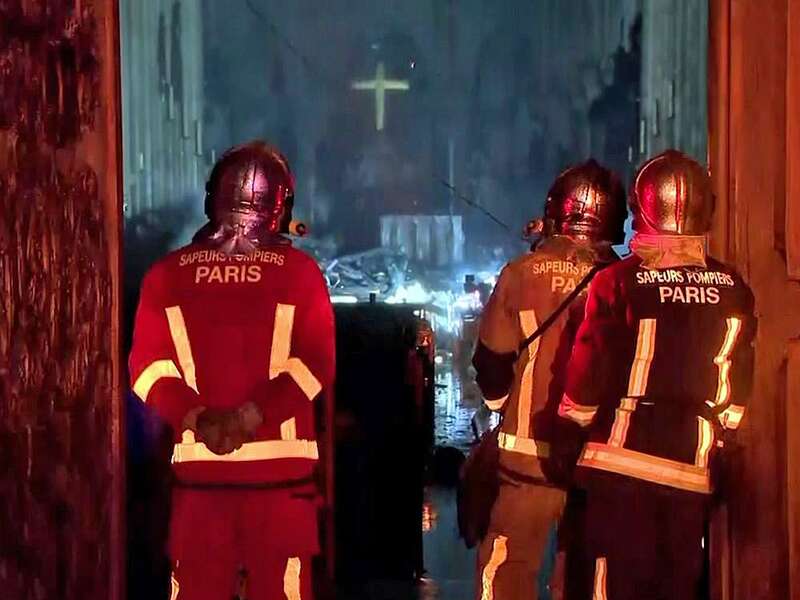 Paris police reported that no one was killed in the fire but one fire fighter and two police officers were injured. 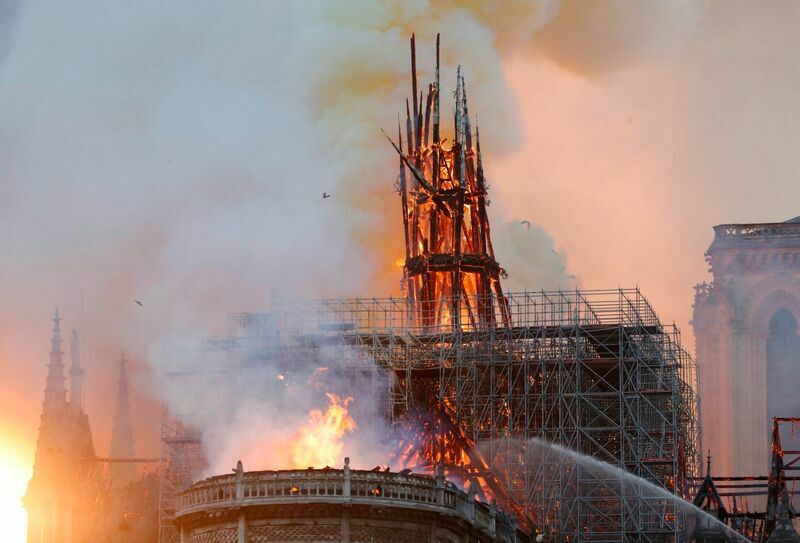 A Twitter commentator noted that the Pompiers de Paris followed a protocol; Save the people, save the art, save the alter, save whatever furniture you can, then focus on the structure, in that order. 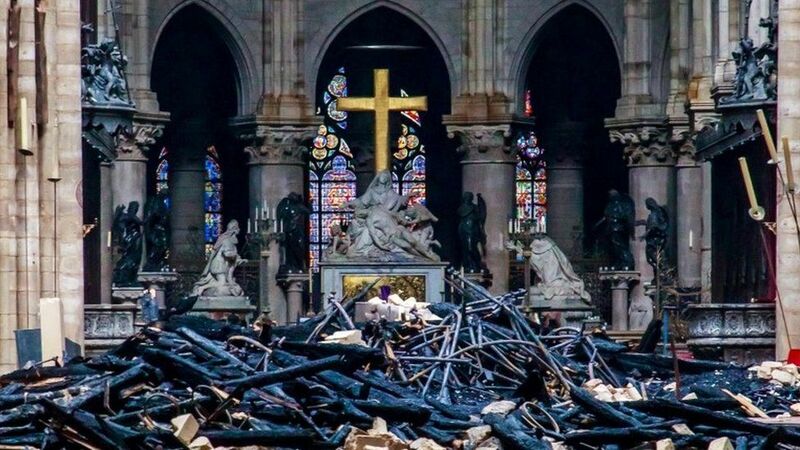 They know what can be rebuilt and what can’t. 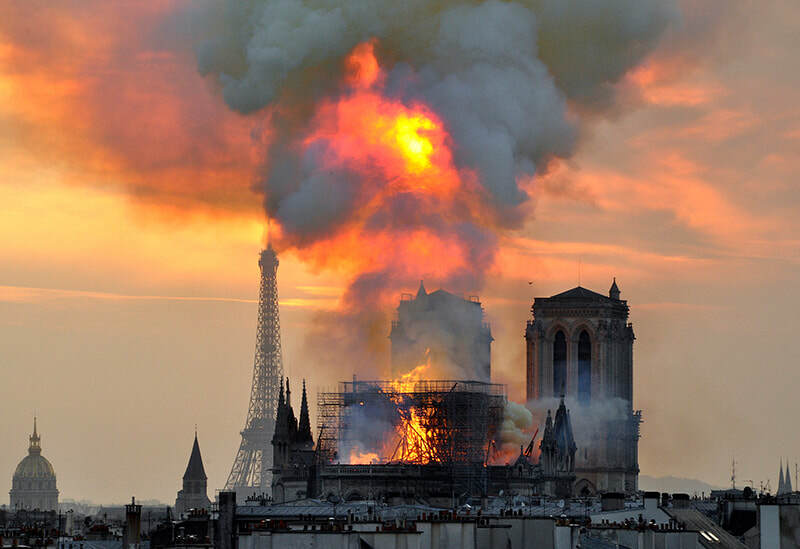 This protocol has been in place since the last time the cathedral was destroyed in the French Revolution. 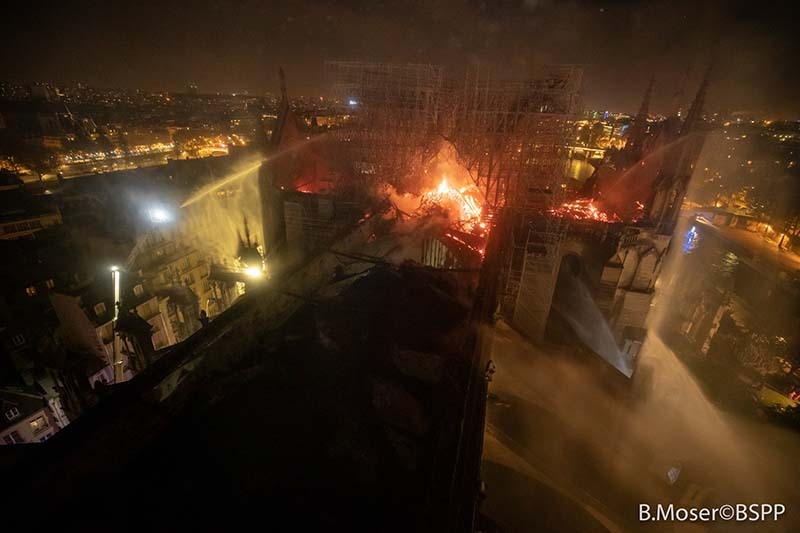 The main structure of Notre Dame Cathedral, including the two bell towers, has been saved after fire fighters worked through the night to tackle the huge blaze that started on Monday evening, 15 April 2019. 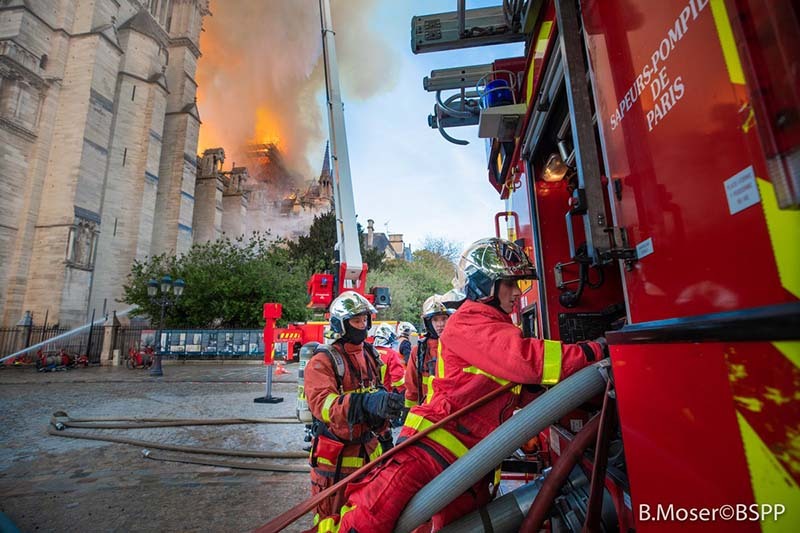 Now that it has been extinguished, experts have been able to shed light on the difficulties fire crews faced as they fought to save such a large, historic building. 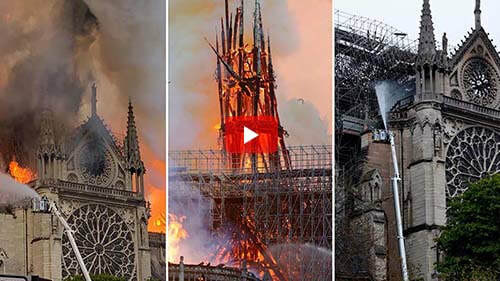 Guillermo Rein, professor of fire science at Imperial College London, said, "What the Paris fire fighters did was close to a miracle. 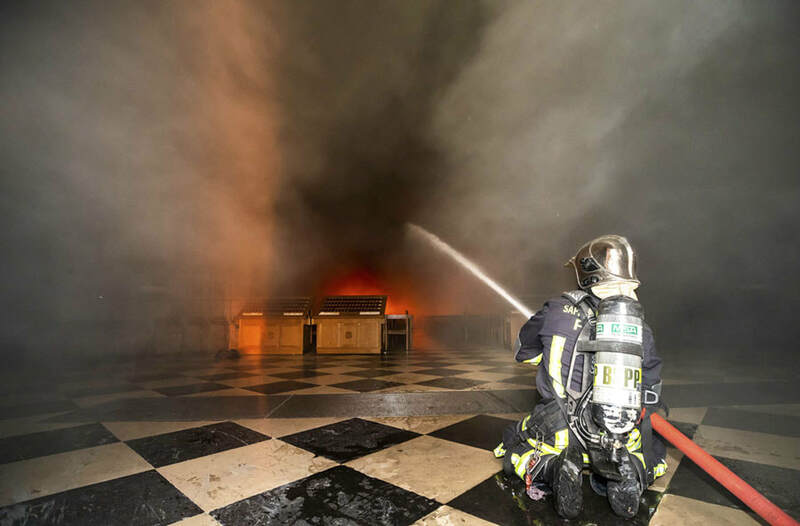 It's completely different to most training because all the material burning is the roof," he said. 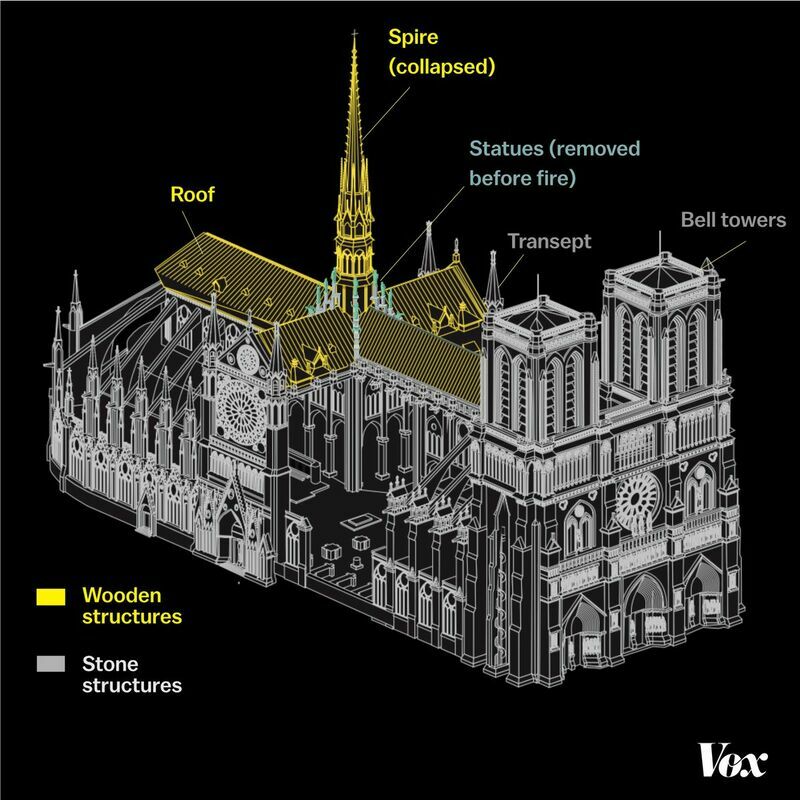 The cathedral's roof is a complex piece of carpentry with very thin and very thick columns that are all flammable, he explained. The thin parts ignite first and then ignite thicker wood, which burns for a long time. "The heat that a fire this size is putting off is tremendous. Little options for interrupting that. The chemical chain is off to the races. That horse left the stable in the first five minutes. That leaves the oxygen. 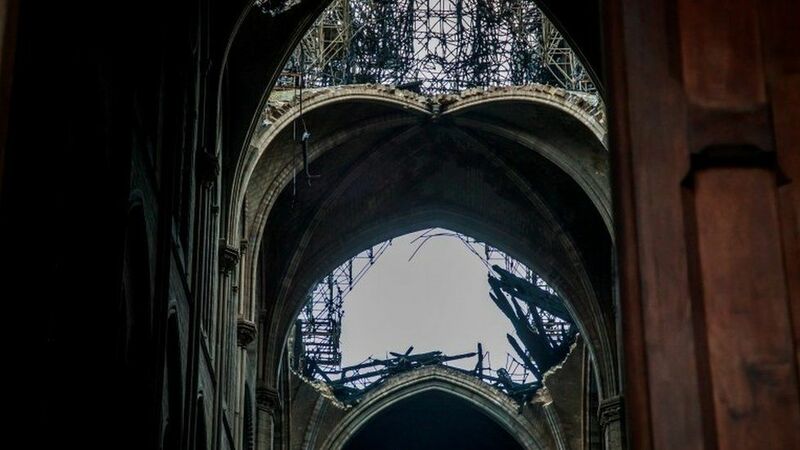 Unfortunately, even if the roof had not burnt off, churches are nearly impossible to control ventilation in. Their design is to be open and airy. 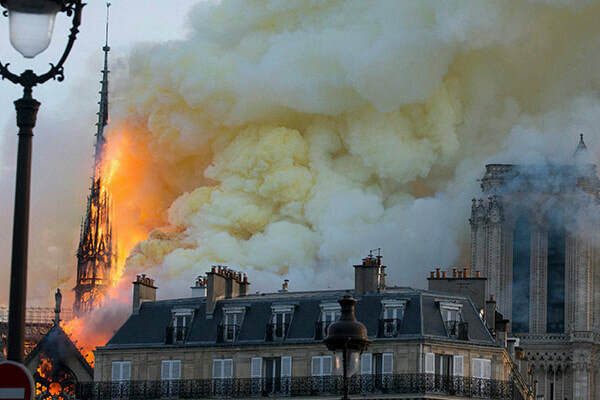 Great for Sunday worship, terrible for managing fire spread." 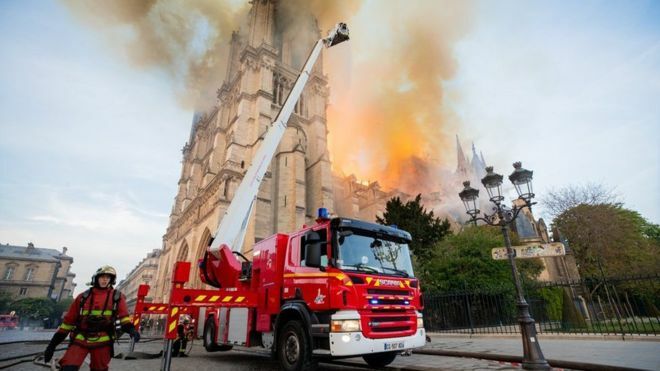 French authorities revealed on Tuesday that the cathedral was within “15 to 30 minutes” of complete destruction as fire fighters battled to stop flames reaching its gothic bell towers. 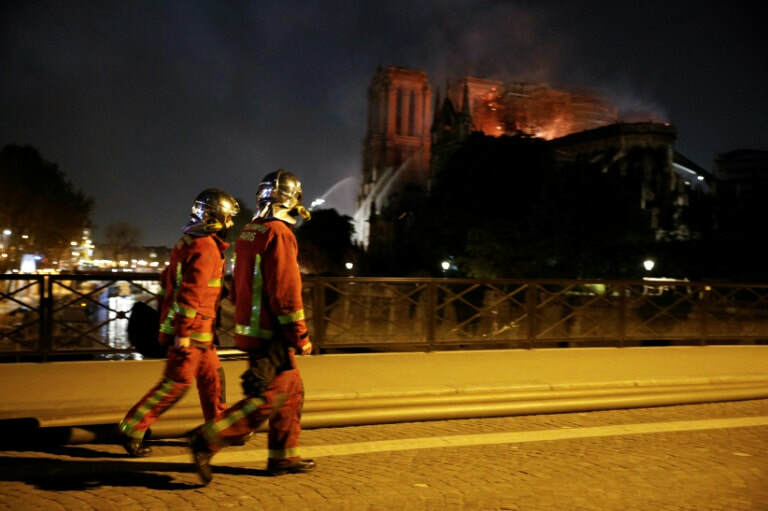 A greater disaster was averted by members of the Paris fire brigade, who risked their lives to remain inside the burning monument to create a wall of water between the raging fire and two towers on the west facade. 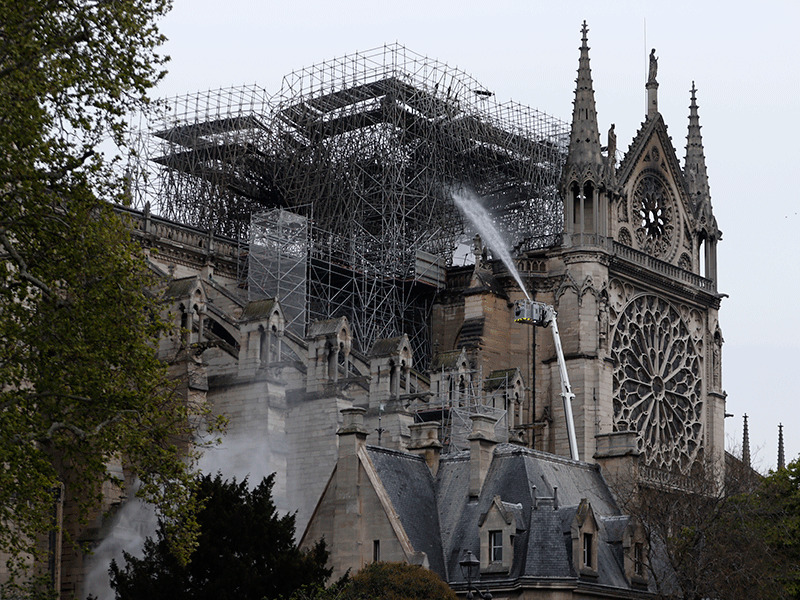 The revelation of how close France came to losing its most famous cathedral emerged as police investigators questioned workers involved in the restoration of the monument to try to establish the cause of the devastating blaze. 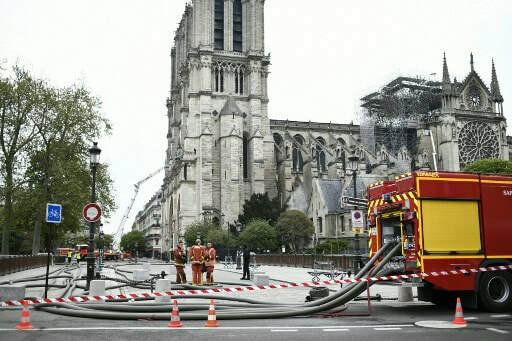 Paris prosecutor Remy Heitz said that an initial fire alert was sounded at 18h20 on Monday evening but no fire was found. 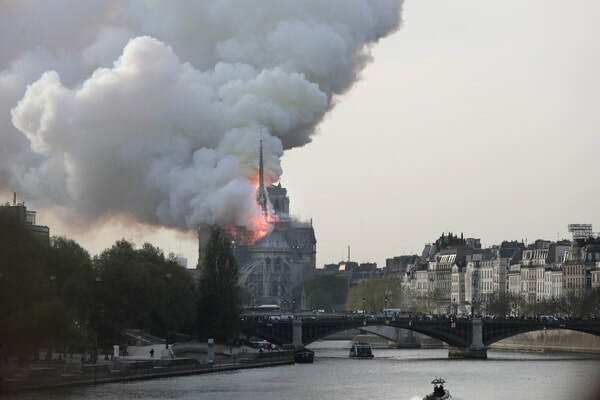 The second alert was sounded at 18h43 and the blaze was discovered on the roof. 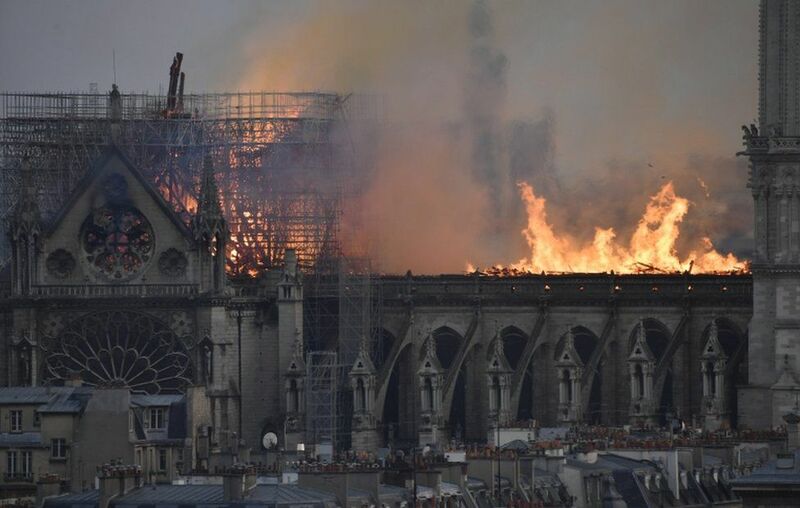 Despite fears at the height of the inferno that the whole cathedral would be lost, the structure appears mainly intact. 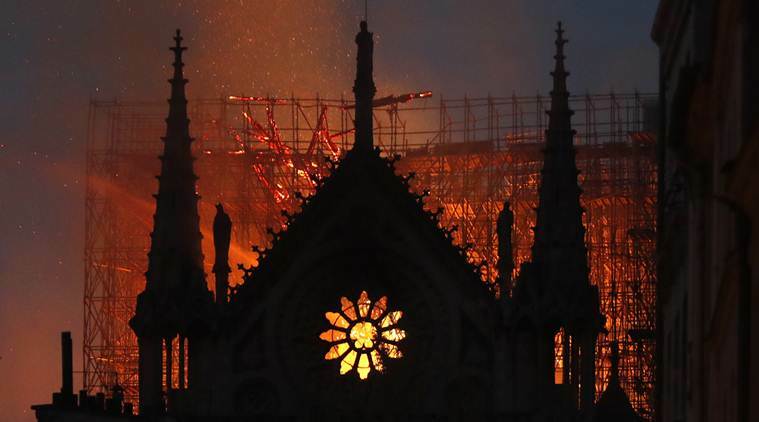 Bob Parkin, a former UK fire fighter turned safety consultant, said that in this case, tackling the blaze from inside was the only option. 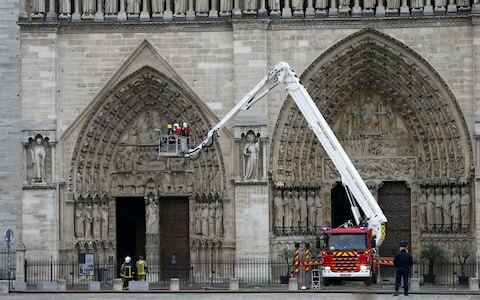 "They would have to go inside the building or use aerial appliances, ladders and hydraulic platforms," he said. 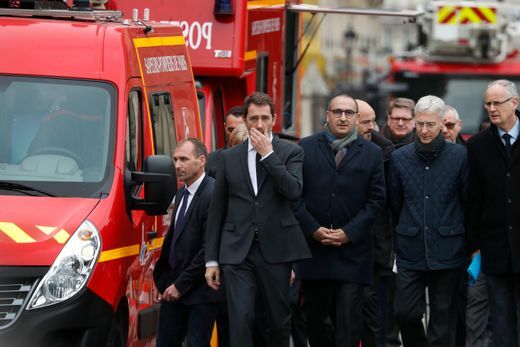 "But you're putting water on the outside of the building and the only way you sort it is if you attack it from the inside." As the fire burned, US President Donald Trump suggested that flying water tankers could be brought in to fight the flames from above. 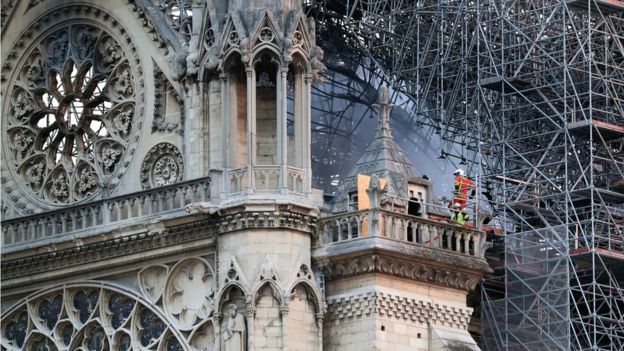 Professor Rein said he wasn't the first person to come up with the suggestion, however it was "not a good idea because it would have damaged the structure of the cathedral, collapsing the walls". 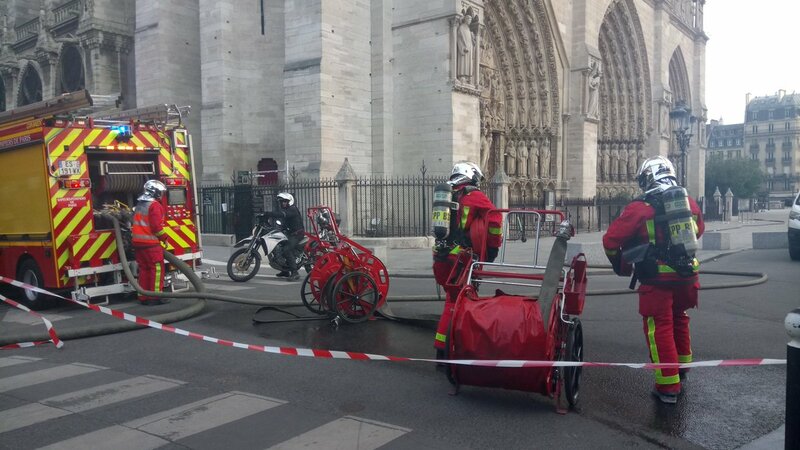 The force of water coming from an air tanker is strong and no-one has been trained to use one in a city. 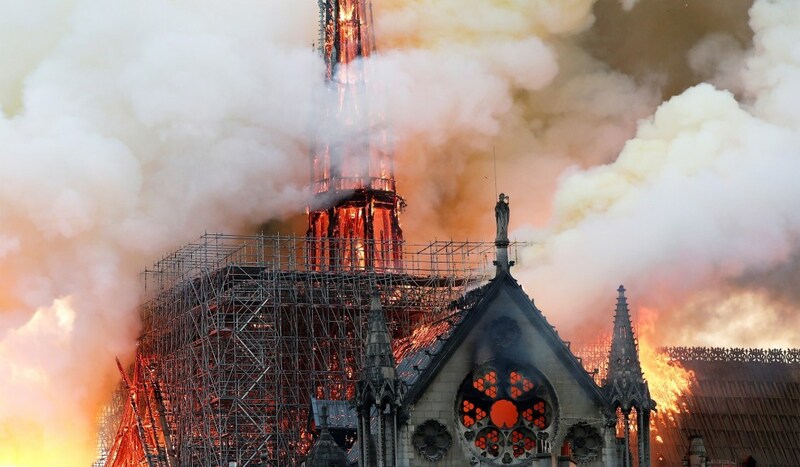 He added that Monday's fire was "not the time to test this". 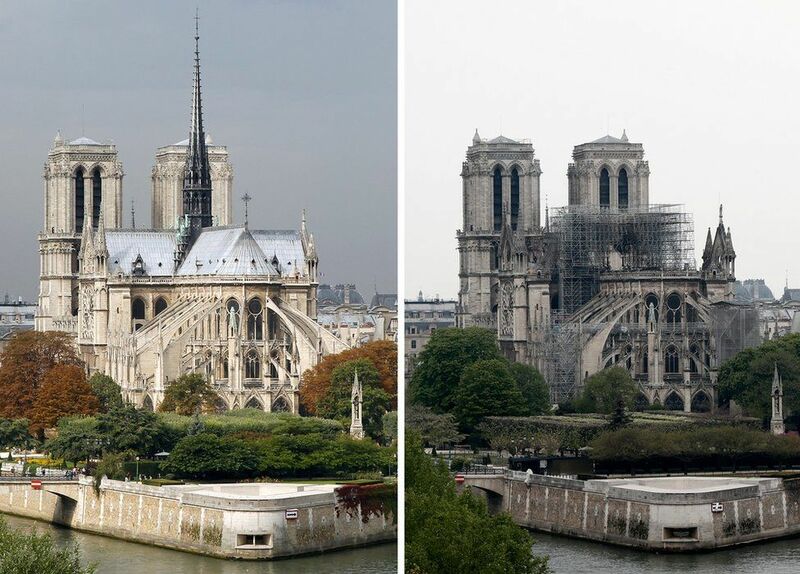 How safe can they make Notre-Dame? 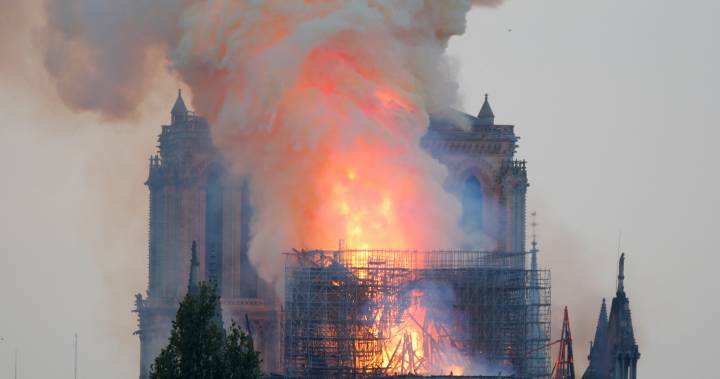 Professor Rein says that fire engineering will need to be considered when reconstructing the cathedral. 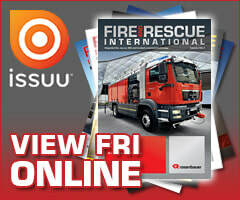 Fire engineering is now in place in modern landmarks such as the Shard in London. 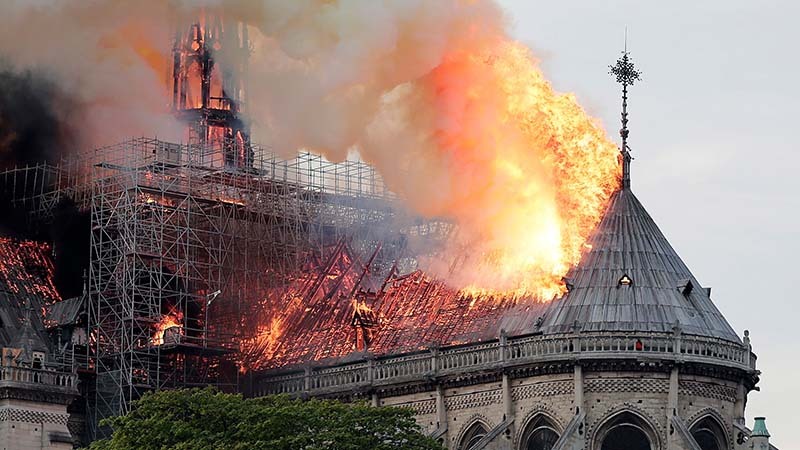 He said, "The roof was not protected whatsoever." 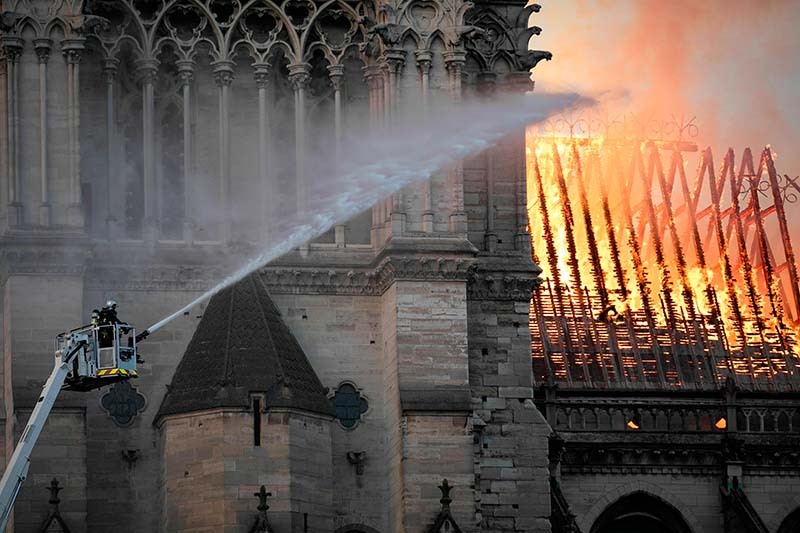 Parkin suggested that in the future, Notre-Dame should install sprinklers. 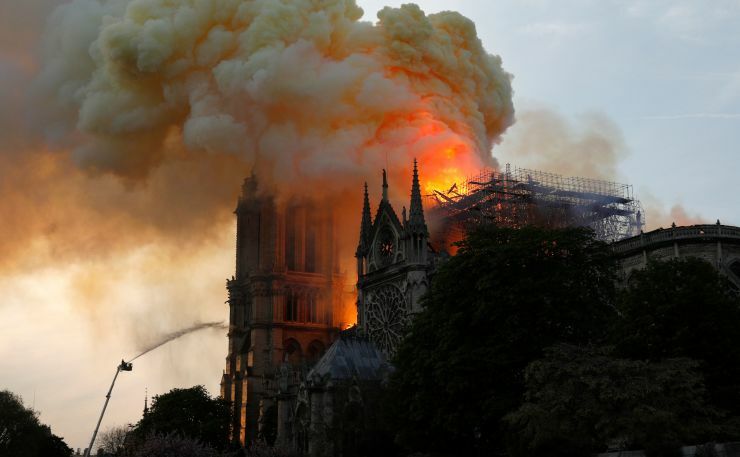 "We keep seeing these buildings go up in flames like this and it's relatively easy to prevent," he said. "In this building you've got invaluable artefacts and it's so easy to prevent and that's by installing sprinkler systems. 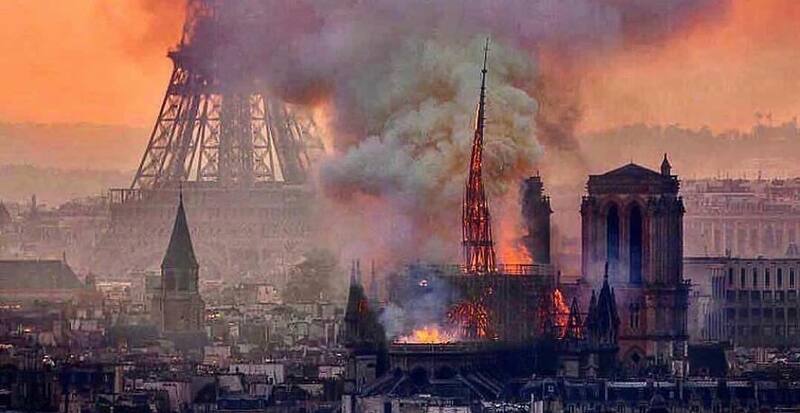 People are still building without them and it keeps happening." 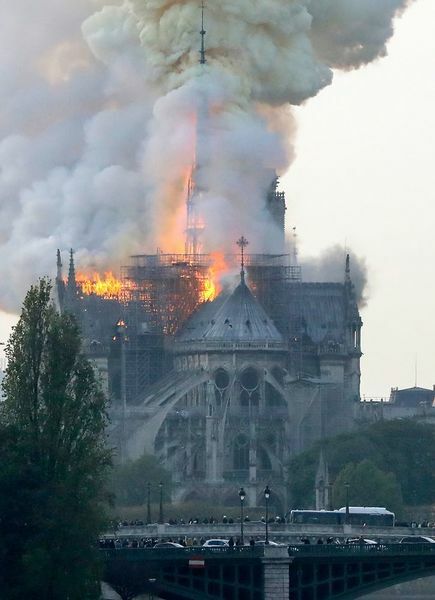 French president, Emmanuel Macron, has announced he wants to see Notre Dame cathedral rebuilt “more beautiful than before” within five years but there are warnings that the repairs could take decades and will involve substantial challenges. 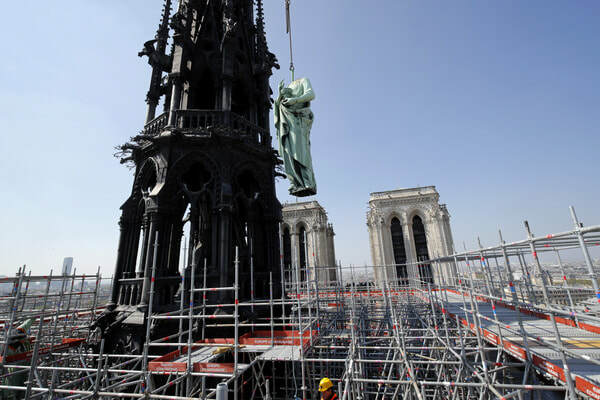 Eric Fischer, who heads a foundation restoring the 1 000-year-old Strasbourg Cathedral that recently underwent a three-year facelift, said he thought rebuilding Notre Dame would probably take several decades. 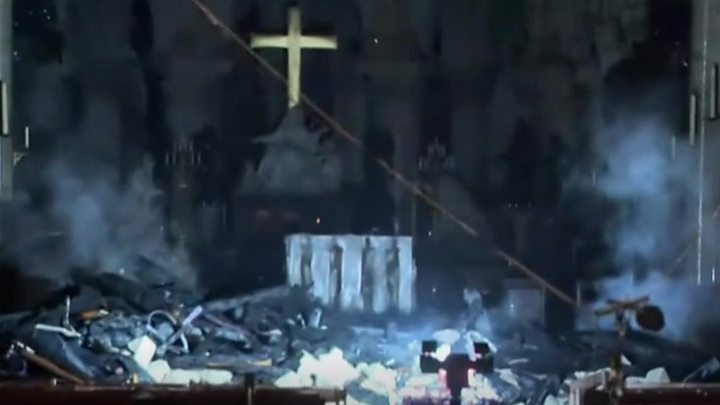 “The damage will be significant,” Fischer said. 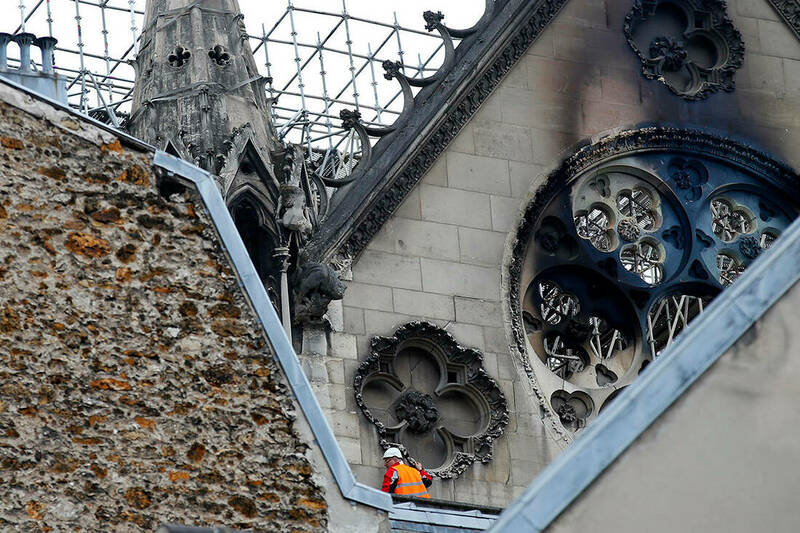 The cathedral’s exquisite stained-glass rose windows are probably suffering “thermal shock” from intense heat followed by cold water, said Jenny Alexander, an expert on medieval art and architecture at the University of Warwick. 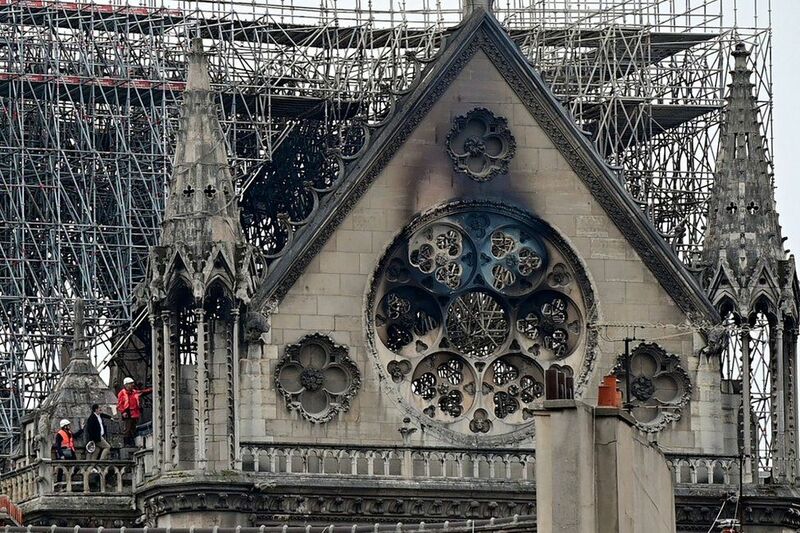 That means the glass, set in lead, could have sagged or been weakened and will need minute examination. 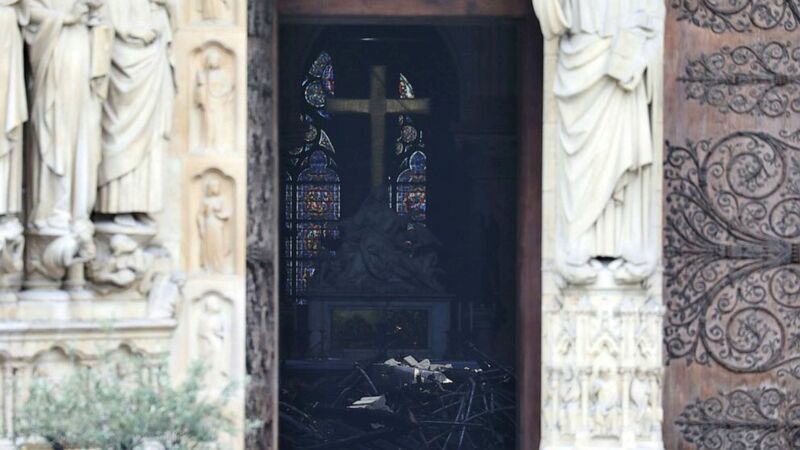 The first challenge for repairers will be to secure the building without disturbing the debris. 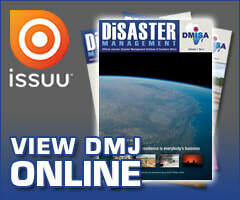 “Some of that material may be reusable and that’s a painstaking exercise. 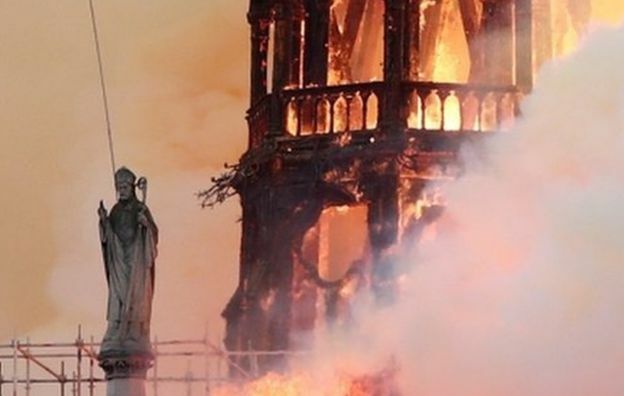 It’s like an archaeological excavation,” said Duncan Wilson, chief executive of the conservation organisation Historic England. 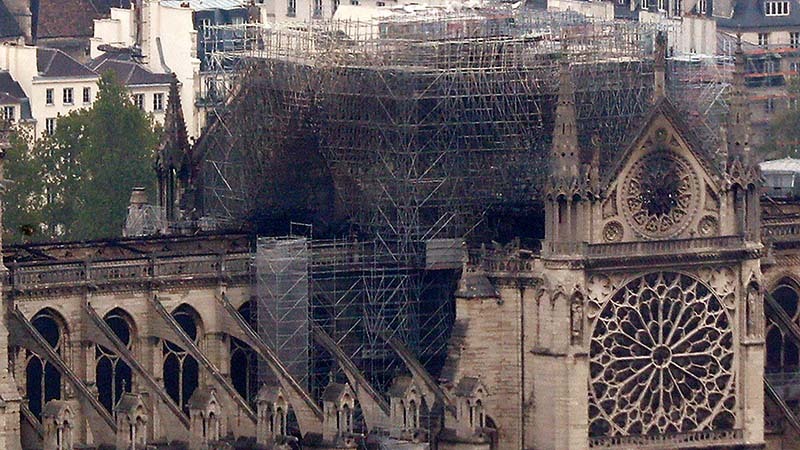 Once the building has been stabilised and the damage assessed, restoration work can begin. It is likely to be an international effort. 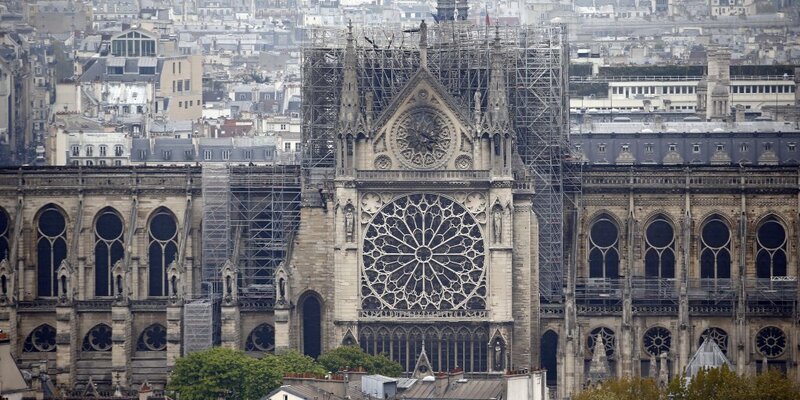 “Structural engineers, stained-glass experts, stone experts are all going to be packing their bags and heading for Paris in the next few weeks,” Alexander said. Then there is the question of conforming to modern-day health and safety standards. 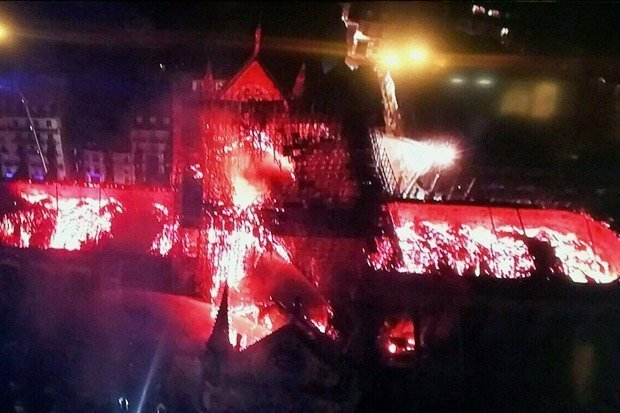 The roof of Strasbourg’s Notre Dame was set ablaze during the 1870 Franco-Prussian War. 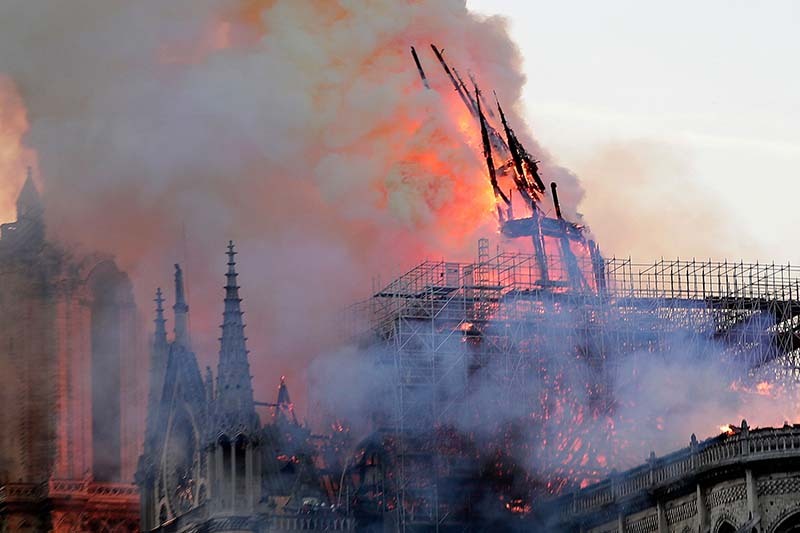 Nowadays the roof is split into three fire-resistant sections to make sure one blaze can’t destroy it all, with smoke detectors installed are at regular intervals. 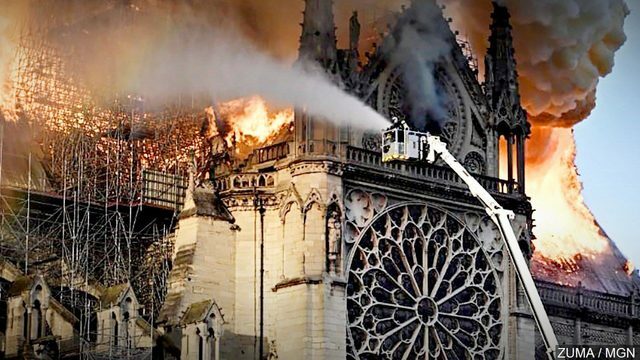 Notre-Dame de Paris, meaning ‘Our Lady of Paris’, often referred to simply as Notre-Dame, is a medieval Catholic cathedral on the Île de la Cité in the 4th arrondissement of Paris, France. 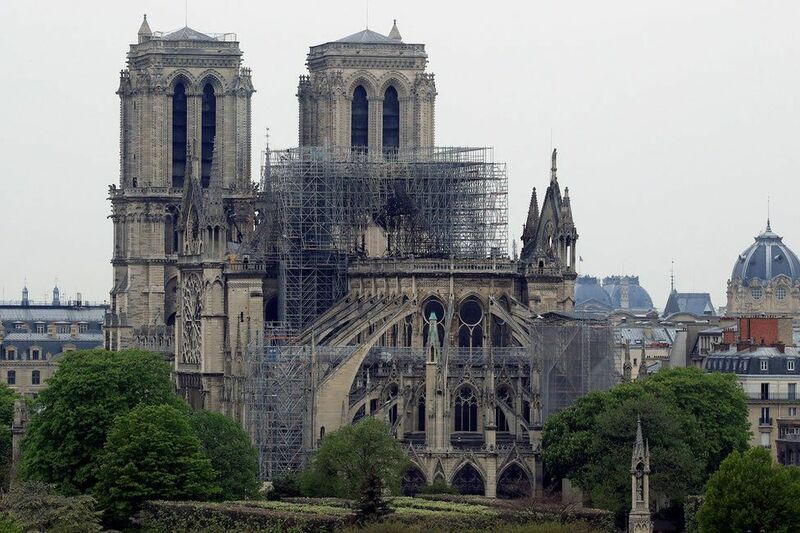 The cathedral is consecrated to the Virgin Mary and considered to be one of the finest examples of French Gothic architecture. 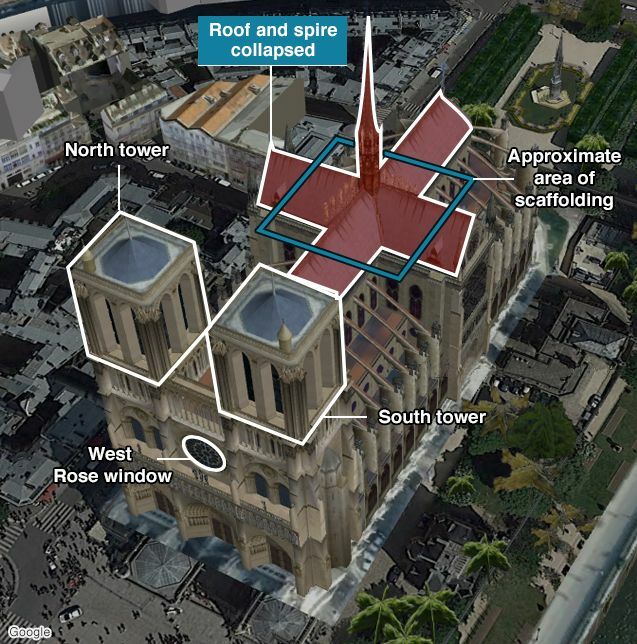 Its innovative use of the rib vault and flying buttress, its enormous and colourful rose windows and the naturalism and abundance of its sculptural decoration set it apart from the earlier Romanesque style. 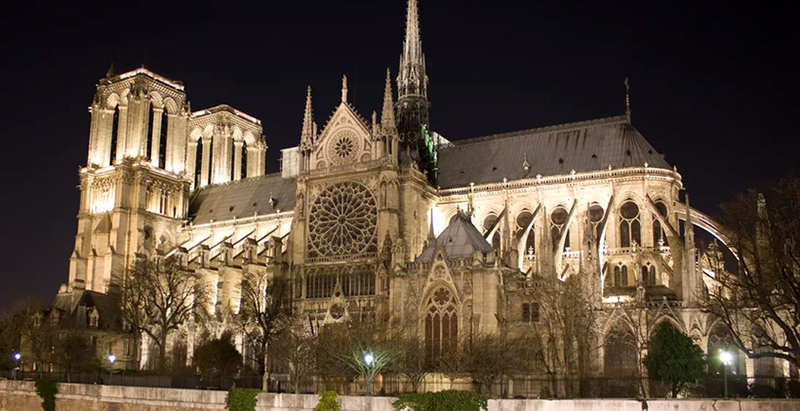 The cathedral is one of the most widely recognised symbols of the city of Paris and the French nation. 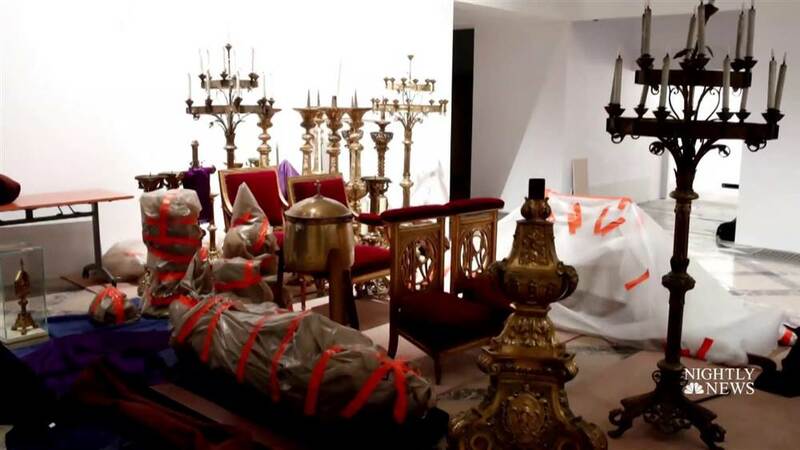 As the cathedral of the Archdiocese of Paris, Notre-Dame contains the cathedra of the Archbishop of Paris. 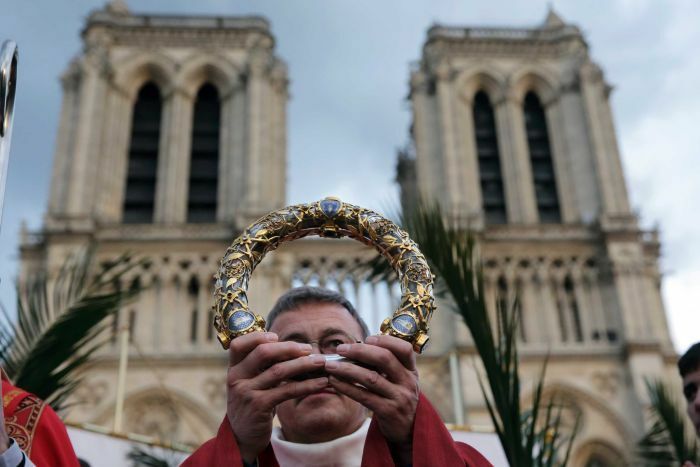 12 million people visit Notre-Dame annually, making it the most visited monument in Paris.